An effective third-party risk management programme is in your best interest. Not only can you more confidently engage with a growing network of vendors, suppliers, resellers and distributors; but when done effectively, you can have a positive impact on the effectiveness and efficiency of your broad ethics and compliance programme. NAVEX Global research has shown that organisations pursue strong ethics and compliance programmes for myriad reasons, but at the top is a desire to cultivate and maintain a culture of ethics and respect. 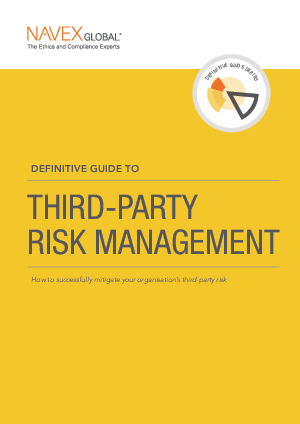 A strong third-party risk management solution helps organisations realise that objective through engaging with third parties that abide by codes of conduct, that are transparent and communicative and that you can be proud to do business with.